London has lost its status as the world’s top financial centre to New York, in the latest Global Financial Centres Index (GFCI 24) by Z/Yen Partners and the China Development Institute(CDI). South Africa also has a new number one financial hub, in the form of new entrant, Cape Town. The GFCI recieves considerable attention from the global financial community, serving as a valuable reference for policy and investment decisions. 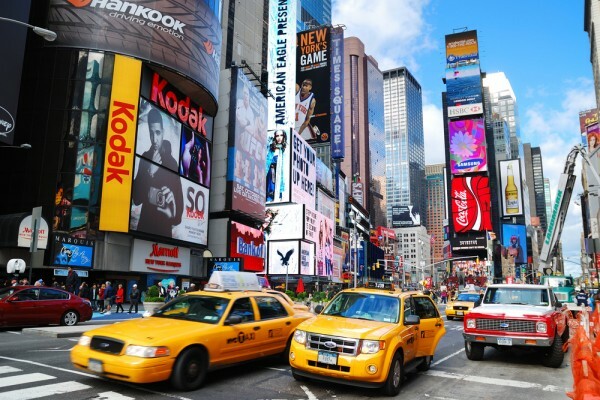 New York took first place in the index, just two points head of London. However, both centres fell slightly in the ratings. Hong Kong is now only three points behind London. Shanghai overtook Tokyo to move into fifth place in the index gaining 25 points in the ratings. Beijing, Zurich, and Frankfurt moved into the top ten centres, replacing Toronto, Boston, and San Francisco. In Western Europe, Zurich, Frankfurt, Amsterdam, Vienna, and Milan moved up the rankings significantly. These centres may be the main beneficiaries of the uncertainty caused by Brexit, said Z/Yen Partners. Surprisingly, despite some evident success in attracting new business, Dublin, Munich, Hamburg, Copenhagen, and Stockholm fell in the rankings, reflecting respondents’ views of their future prospects. The leading Asia/Pacific centres performed well, closing the gap on London and New York at the top of the rankings.Centres in the Asia/Pacific region generally rose in the ratings, continuing the trend which has been apparent over several years, said Z/Yen Partners. There were steady increases for Shanghai, Sydney, Beijing, and Guangzhou. GIFT City (Gujarat) and Hangzhou entered the index for the first time. North American centres fell back in the rankings and ratings overall. However, Los Angeles and Washington DC gained places in the index, with Washington DC reversing the fall it experienced in GFCI 23. 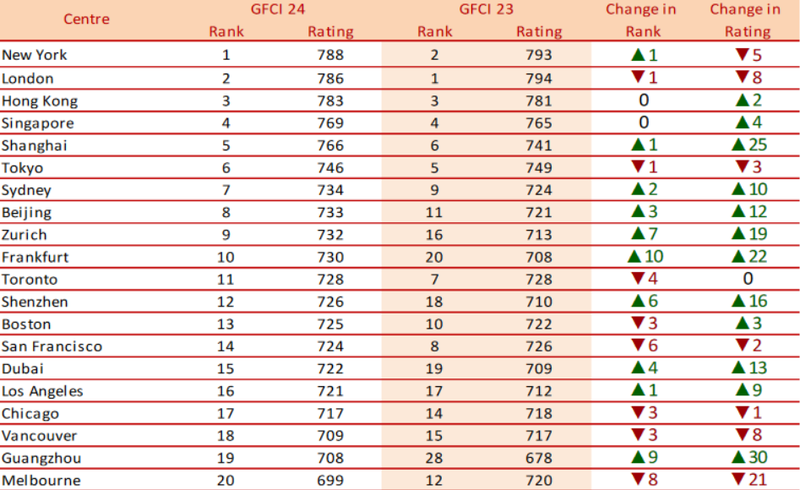 The Middle Eastern centres Dubai, Abu Dhabi, and Doha all rose significantly reversing the trend from GFCI 23. Cape Town is the highest new entrant to the index, ranking 38th on its debut. GFCI 24 uses 31,326 financial centre assessments collected from 2,453 financial services professionals who responded to the GFCI online questionnaire. 49 (56), and Johannesburg (57).